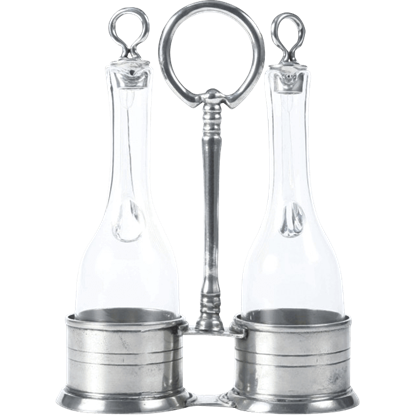 Express your hospitable spirit by using our delightful Acorn Measuring Cup Set when you create your next culinary masterpiece. 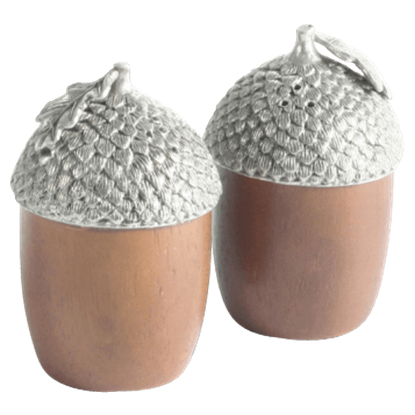 These acorn-shaped measuring cups will help you to add the perfect amount of each ingredient. 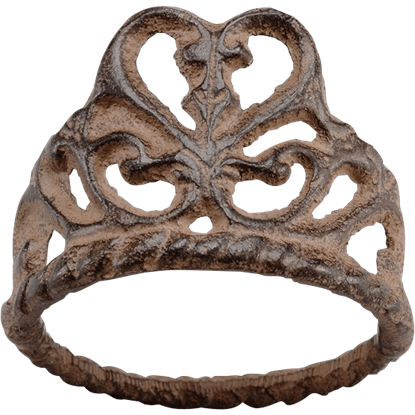 When baking for your next gathering, be sure to measure out each ingredient perfectly. 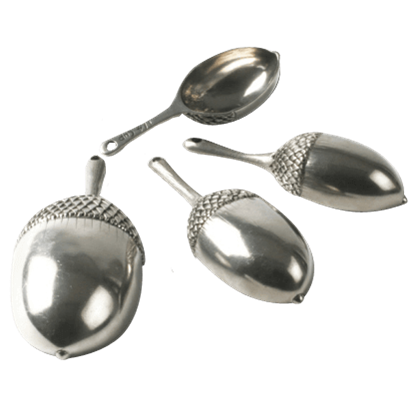 Express your hospitable spirit by using this delightful pewter Acorn Measuring Spoon Set when you create your culinary masterpiece. 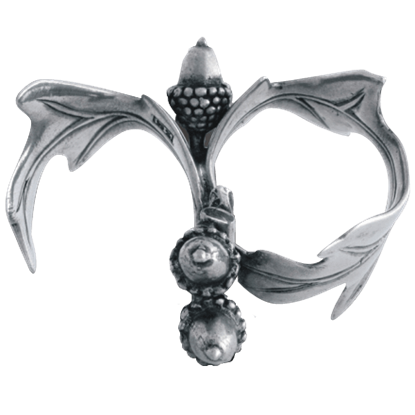 A regal nod to natural beauty, the Acorn and Oak Leaf Napkin Ring adds the perfect touch of style for an inviting natural or holiday-themed table. 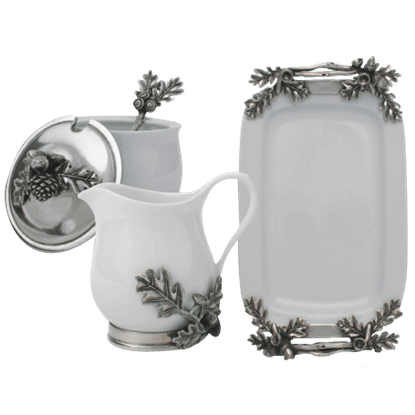 Every guest will appreciate the detail you put into your seasonal table setting. 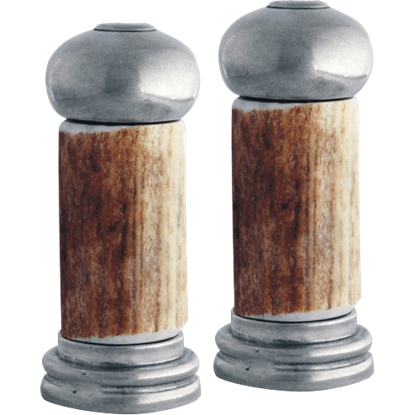 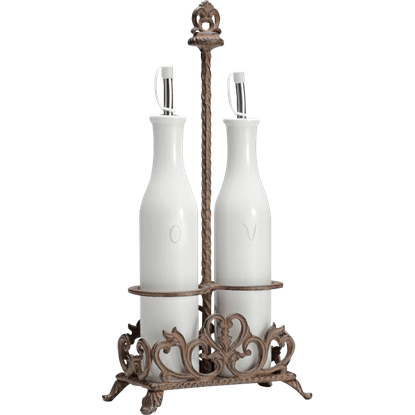 Warm, mellow pewter is cast with delicate detail and hand-finished to re-imagine acorn caps on the Acorn Salt and Pepper Shakers. 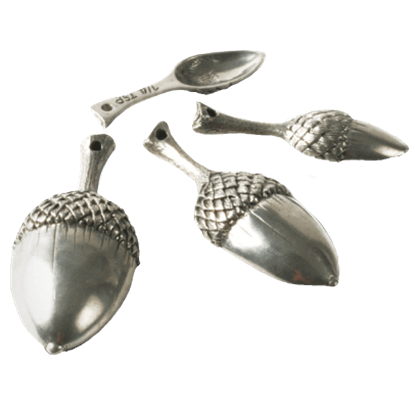 This charming set will make squirrels - and your guests - go wild for their lovely acorn shape. 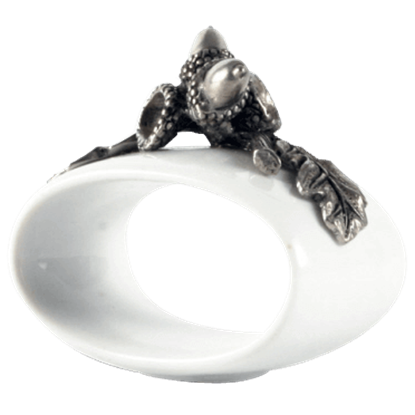 Natural beauty in the world inspires the craftsmanship of many pieces, including table settings like this decorative napkin ring. 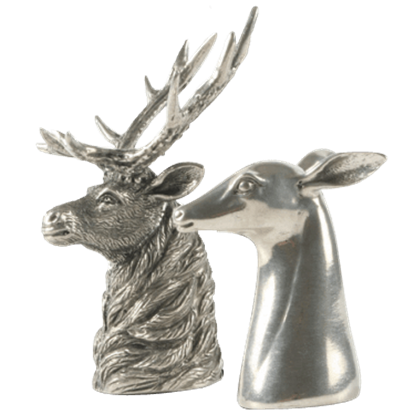 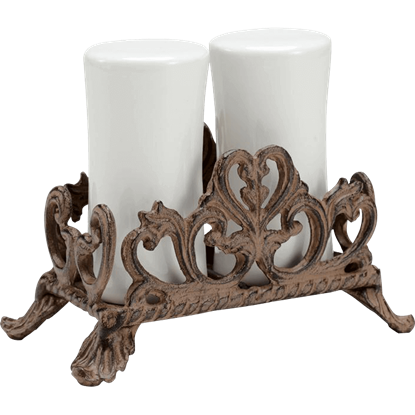 Finish an elegant, nature-inspired table with accents like the Acorn Stoneware Napkin Ring.